Dorado – or Mahi-Mahi as most people might know it – would amass a lot of votes in a ‘tastiest fish in the sea’ contest. This beautifully-colored ocean denizen is a high-demand item at seafood restaurants around the world, as the tender, flaky pinky-white meat is delicious no matter how it is cooked. Often the best way to decide what to include in your own custom tailored sportfishing package is to see what others before you have reserved. Dorado is one of the many stars on the Costa Rica fishing stage. Found in all the world’s oceans, except for the Arctic, they are highly migratory, traveling with the ocean currents. Dorado tend to congregate under floating debris such as logs, seaweed, reeds and trash. 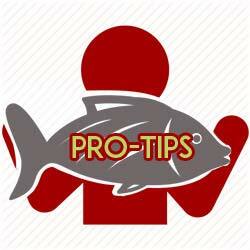 Experienced sportfishing captains will point their boats in their direction. Anglers who run into Dorado on a Costa Rican sport fishing charter all along the Pacific coast will find them a colorful, rapid, energetic fish that provide as acrobatic and gutsy a fight as any equally-sized gamefish, offshore or inshore. Dorado are one of the world’s fastest-growing fish, and can grow up to 30-40 pounds in a single year. Dorado have a lifespan of 5-7 years and can reach 80lbs. Most of the Dorado you will hook and catch on Costa Rica fishing trips are in the 15-25lb range, but Dorado of 40-70lbs are not uncommon. Dorado are voracious eaters, and will swallow anything coming their way that they find interesting. Cannibalism is not uncommon; small baby Dorado often make a tasty dinner for their larger, hungry brothers and sisters, as do baby turtles. Dorado, especially the smaller and younger ones, often travel in schools along Costa Rica’s Pacific coast. Schools of 1,000 and more are not uncommon. The older, larger ones are often found in pairs or smaller packs, such as a bull male and smaller females. Anglers who fish Costa Rica can catch Dorado 365 days a year, in the Central Pacific, South Pacific or North Pacific, no matter where they might be staying. However, it is during the ‘Green Season’, from May to November, that yields the most consistent Dorado bite, as the rains bring plenty of debris from the swelling river mouths into the ocean. This is also the time when the biggest Dorado are caught in Costa Rican sportfishing waters. It is not uncommon to catch 20-30 and sometimes 40 Dorado in the 30-40lb range under floating logs and weed lines. Most experienced captains fishing Costa Rica use the same lures, baits and trolling spreads as they would use for billfish. However, if you are specifically targeting Dorado on a charter, you might want to downsize a bit. Once hooked, high leaps and lengthy tail walks are a common sight. Hooking a Dorado is a bonus because not only do you get a great fight, but when you boat it, an even better meal as well!